Elizabeth Kohler and Carol Mason will be our featured artists for April. They will be doing demos of their art and discussing the process. Elizabeth paints on canvas in acrylics combining rich colors and texture to create wonderful aquatic sceens. She is also available to schedule a porch paint party for your group. 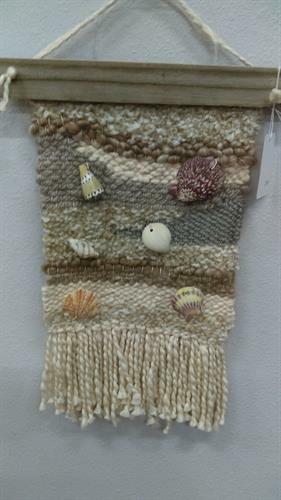 Carol makes looms and weaves wall art. She combines a variety of purchased and found materials to create her beautiful pieces. Come join us, meet the artists and enjoy light refreshments. 5660 Segura Ave, Pensacola, FL 32507, one block off Sorrento Road by McDonalds and Perdido Hair Salon.